HERE IS YOUR CHANCE TO OWN A VERY RARE PIECE OF AMERICAN MUSCLE AND ONE OF THE COOLEST CARS EVER BUILT! 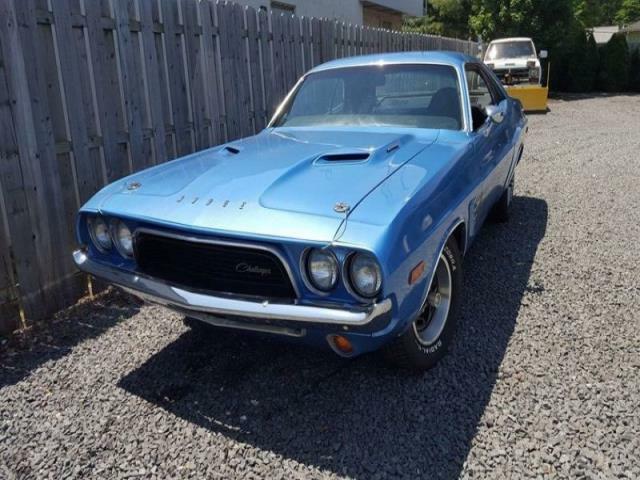 1972 WAS THE YEAR OF THE LAST TRUE JS23 RT RALLY CHALLENGER. THERE WERE ONLY 6902 RALLY CHALLENGERS BUILT IN 1972 AND ACCORDING TO GAVEN GOVIERS BIBLE, ONLY 1243 WITH THE FOUR SPEED! HOW MANY DO YOU THINK ARE AROUND STILL HAVING THE ORIGINAL 340 MOTOR TRANS AND REAR? THIS CAR HAD JUST FINISHED A TWO YEAR RESTORATION BEFORE I FOUND HER AND IS A VERY NICE DRIVER! THE BODY WAS STRIPPED TO BARE METAL MOSTLY SURFACE RUST TREATED AND WAS COATED WITH EPOXY PRIMER AND ITS FIRST REPAINT OF CHRYSLER B5 BLUE. THE ORIGINAL MOTOR WAS REBUILT TO STOCK AND HAS A NICE RUMBLE FROM THE EDLEBROCK 1406 CARB (ORIGINAL THERMOQUAD CARB IS INCLUDED)THROUGH THE CUSTOM DUAL FLOW-MASTER EXHAUST.NEW CLUTCH AND BRAKES WERE GONE THROUGH.HAS POWER BRAKES WITH FRONT DISC BRAKES SUSPENSION IS TIGHT AND GOES DOWN THE ROAD STRAIGHT AND THE FACTORY 3.55 SURE GRIP POSI REAR ALONG WITH FRONT AND REAR SWAY BARS HELP .